Bill Alexander had no idea that his simple dream of having a vegetable garden and small orchard in his backyard would lead him into life-and-death battles with groundhogs, webworms, weeds, and weather; midnight expeditions in the dead of winter to dig up fresh thyme; and skirmishes with neighbors who feed the vermin (i.e., deer). Not to mention the vacations that had to be planned around the harvest, the near-electrocution of the tree man, the limitations of his own middle-aged body, and the pity of his wife and kids. When Alexander runs (just for fun!) 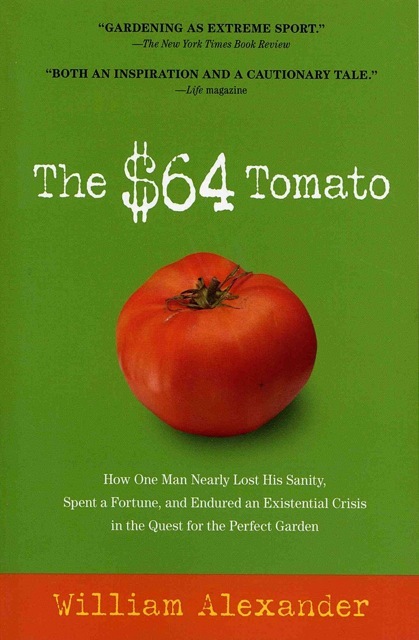 a cost-benefit analysis, adding up everything from the live animal trap to the Velcro tomato wraps and then amortizing it over the life of his garden, it comes as quite a shock to learn that it cost him a staggering $64 to grow each one of his beloved Brandywine tomatoes. But as any gardener will tell you, you can't put a price on the unparalleled pleasures of providing fresh food for your family.